Once again Ford has done the unthinkable, and made your driving experience even easier. Whether you’re a city-slicker that just bought your first boat, or a long time lassoin’, wranglin’, cattle wrasslin’ farmhand who’s been hitching trailers since before you had a driver’s license, Ford’s ProTrailer Backup Assist is here to make backing up a trailer easy as hog-tyin’ a newborn calf. Yee-haw! But seriously folks.  Ford is here to make your life easier. And here is how it works. If your F-150 (or Expedition) is equipped with ProTrailer Backup Assist, you’ll just need to program a few dimensions into your truck, similar to Ford’s BLIS® system, and slap a small sticker on trailer tongue. Simple as that. But wait, it gets easier. From there, you click the ProTrailer button before putting your truck into reverse, then, turn the ProTrailer knob to the left or right to guide your trailer to the left or right; this is hands off trailer movement, quite literally. Take your hands off the wheel and just worry about accelerating or braking. Ford tried to make it more simple, but they just couldn’t. ProTrailer Backup Assist is available on its own, or as part of the max trailer tow package. And boy is it worth it. Honestly, if you’ve ever felt the soul-crushing embarrassment of jackknifing a trailer, you know; and if you haven’t, well I wouldn’t wish it on my worst enemy. With Ford’s ProTrailer Backup Assist, alongside other options like BLIS®: Extended Trailer Blind Spot Monitoring, or Cross-Traffic Alert, you’ve got a whole range of tools at your disposal to make driving with, and backing up, a trailer no sweat at all. Matter of fact, you’d be able to navigate it backward without hitting the broadside of the barn. You’d be able to back it up ‘til the cows come home. You’d be able to, uh, umm . . . well, you get it. Ford is constantly doing what it can to make operating your truck as easy as pie. Because, after all, you’ll catch more flies with honey than vinegar. I mean, buying any truck that isn’t the number one selling truck in the market makes about as much sense as shutting the barn door after the horse has bolted. So don’t look a gift horse in the mouth! Come down to Team Ford and check out the new Ford F-150, with ProTrailer Backup Assist, and you’ll be happy as a pig in mud.